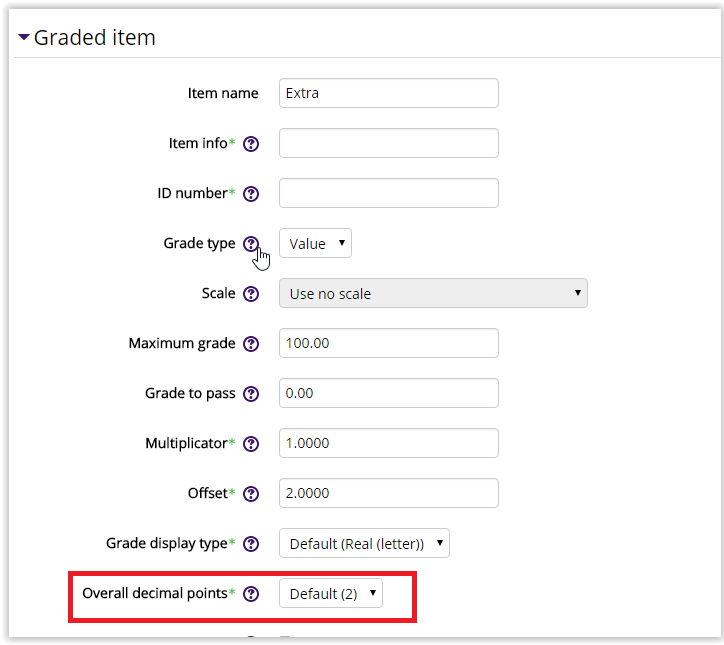 This setting determines the number of decimal points to display for each grade. 1. 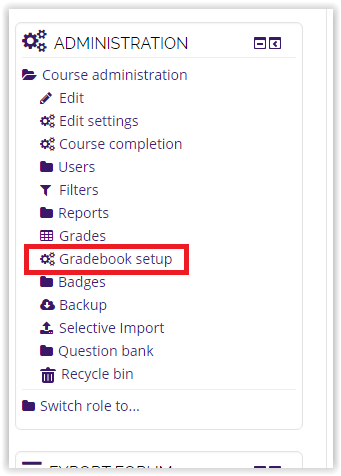 Select Gradebook setup from the administration block. 2. 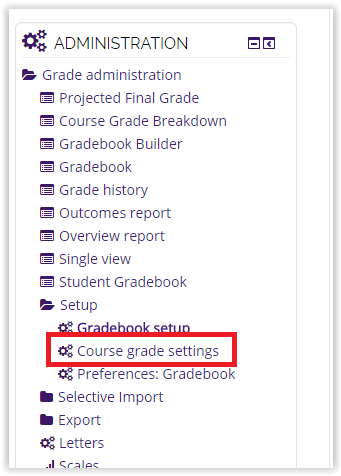 Next, select Course grade settings from the administration block. 3. In the Graded Items settings section, you can find the Overall decimal points settings drop down menu. From here, choose the decimal points for the overall grade. This setting will apply to all future graded items and the course total. 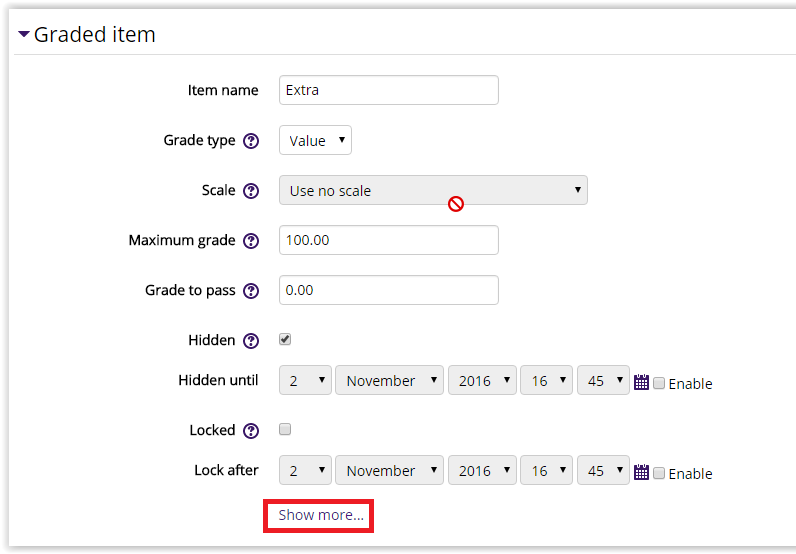 You can also change the Overall Decimal points settings for individual graded items. 1. In Gradebook setup, select edit and click edit settings next to the item you would like to edit. 2. In the Graded Item section, select the Show more... button. 3. From here you can edit the overall decimal points settings. Changing the decimal point settings at the item level will override the course grade settings for that item.